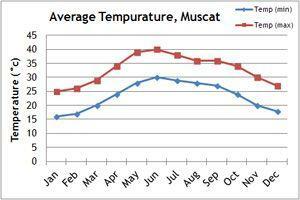 Our climate charts will give you an idea of the weather conditions in Oman. The best time to visit Oman is between November and mid-March. Daytime temperatures average 25 degrees. 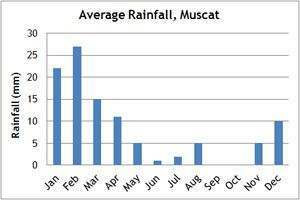 Generally the country is very arid, apart from the foggy-drizzly khareef, which occurs between mid-June and August. In the summertime, average temperatures soar, and the skies are hazy. If you can't make the dates of our group departures, then take a private departure on dates to suit you, or we can create a Tailor Made holiday to Oman, especially for you and your family or friends.